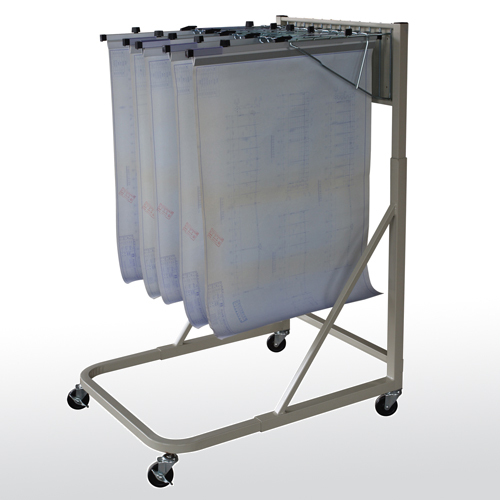 Ideal for storing blueprints, plan drawings, maps and other large documents. 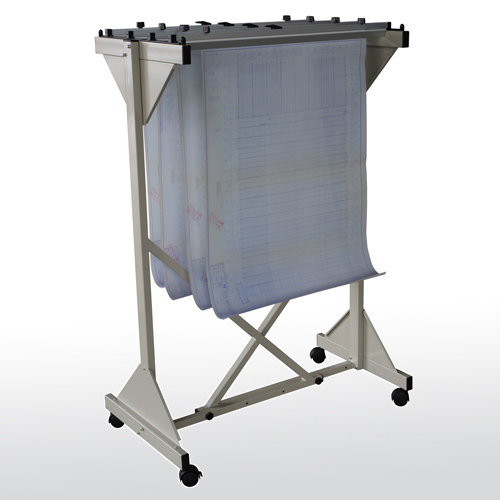 Durable steel frame adjusts to accommodate 1200 sheets. Includes 12 pivot brackets to hold up to 12 clamps (not included). Four swivel casters with two locking brakes. Space-efficient model with durable steel wall frame stores up to 1200 sheets. 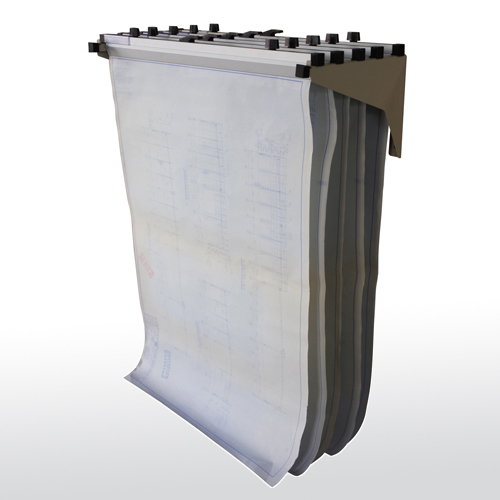 Ideal for storing blueprints, plan drawings, maps and other large documents. Includes mounting hardware and 12 pivot brackets to hold up to 12 clamps (not included). Ideal for storing blueprints, plan drawings, maps and other large documents. Durable steel construction. Holds up to 1800 sheets. Adjustable to fit 24" to 42" clamps (not included). Four swivel casters with two locking brakes. 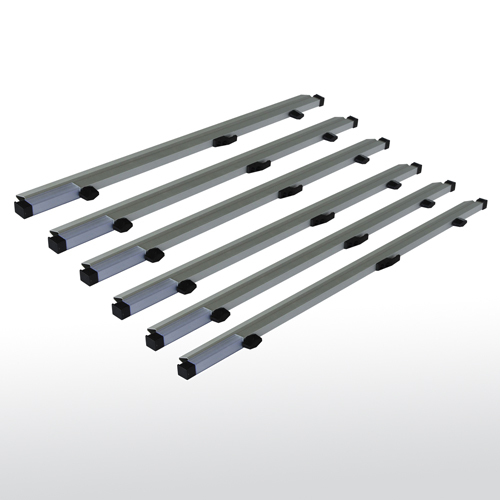 Space efficient wall rack extends less than 12" from the wall. 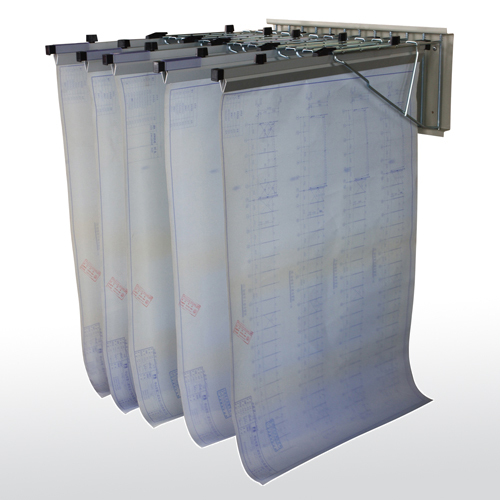 Ideal for storing blueprints, plan drawings, maps and other large documents. Holds up to 1200 sheets. Includes mounting hardware and 12 pivot brackets to hold clamps (not included). Durable steel construction. To compare several categories within File Storage, click on View All File Storage.